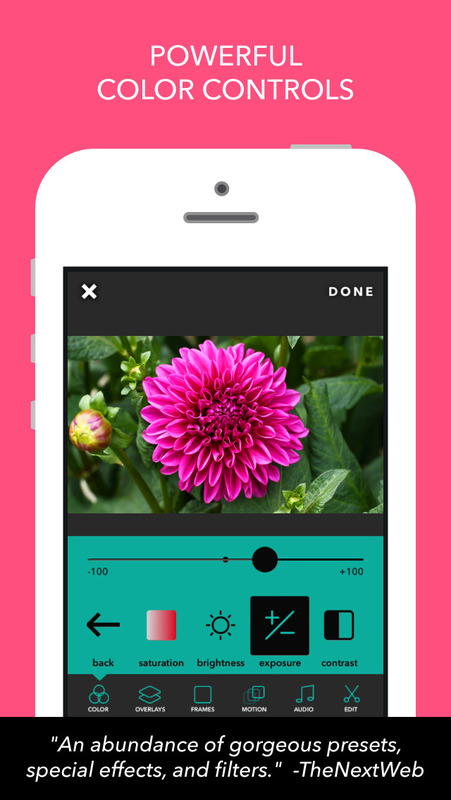 Videohance is the ultimate video look editor. "I LOVE this app!! It works like my favorite photo apps but for video. I can’t believe this hasn’t been done before." 8. Select clip transition style - crossfade, fade to white, fade to black, or none. 9. Done! Save or share your movie on Instagram, WhatsApp, YouTube, Facebook, via text message, and more. 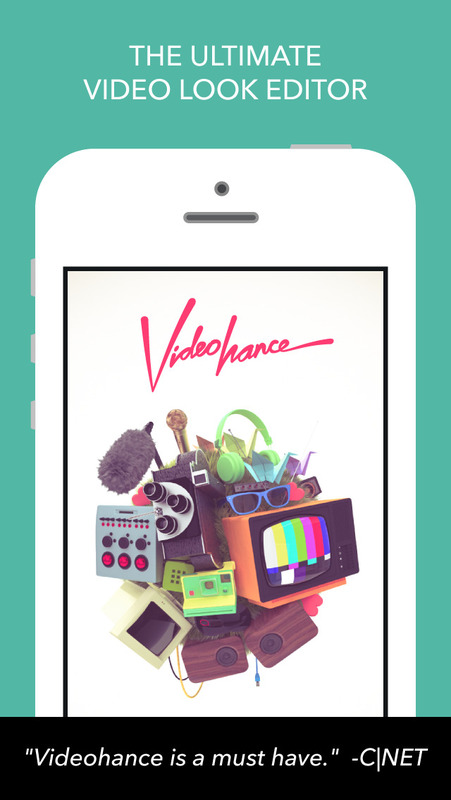 VIDEOHANCE WILL NOT RUN ON IPHONE 4 OR BELOW! iPhone 4S only exports standard resolution video (SD). iPhone 5 and newer will export high resolution video (HD).